From all the possible options related to hardware in architectural visualization, choosing a desktop is probably the one giving you the best possible performance. By going with a laptop you will have the benefit of working on the go, but performance will have a lower cap. To render your projects with maximum speed, you will need a good with top graphics cards and cooling. A desktop has another advantage these days, which is the included graphics cards. If you try to get just a graphics cards nowadays, you will get lucky to find any one of them for sale. Because of the cryptocurrency madness, people are buying those cards in bulk for mining. Leaving us, just trying to get a new GPU to work with fewer options. Are there any good options in desktop computers for architectural visualization? Sure! We made a list of a few of them for you. Some of the computers have the name â€œgamingâ€ on the model, but that is just a label. You can also use those computers to model, render and edit complex architectural projects. They are powerhouses with a full standalone GPU included. You just need a good monitor to make it a full-featured workstation. Since our primary hardware for architectural visualization with Cycles is the GPU. We will use that as a way to classify those models from lower/budget options to the more powerful and expansive. As you are probably aware, a key element in the GPU for Cycles is the memory. With large amounts of memory, you will get plenty room to work with large and complex scenes. From the list above you should take a close look at the Y710 from Lenovo. At the time I'm writing this article it has a massive discount on Amazon. To be more precise, a USD 500 price cut. 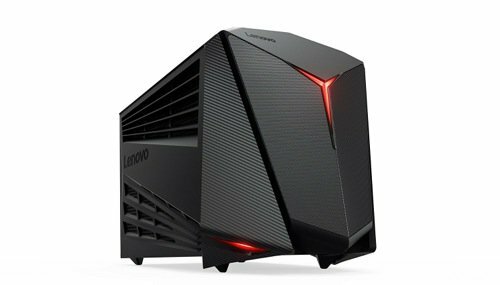 If you take into consideration all specs from the computer (GTX 1080, 16GB RAM, 128GB SSD, and i7-6700), it is a great deal!